Sunday was an hour of road hacking with a friend – up, down, up again. Tristan was jigging his way downhill again so I did get off and handwalk him. I am a bit frustrated by finding the balance between “nice big forward walk home” and “jig jig jig until you trip.” Sitting deep and quiet is one thing; hauling on his mouth to no effect is another. That said: at about the 45 minute mark he gets much better. 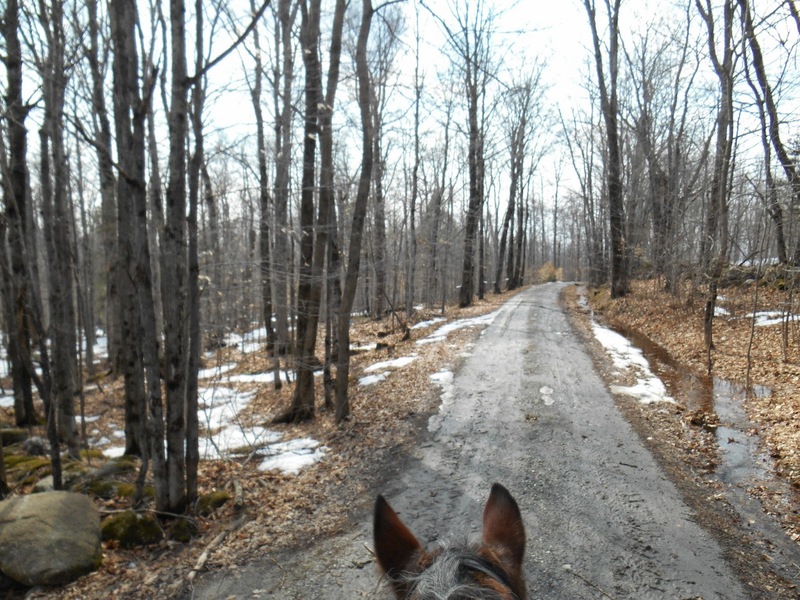 He eases into it and focuses on the road ahead instead of the barn behind. The solution here might be just to keep him out for longer. Possibly this Sunday we can hit another road and do 45 minutes out, 45 minutes back. Before then, we need to get back in the ring. I haven’t schooled him outside of a lesson in 3 weeks, yikes. I am the worst. I just keep getting to the barn and tacking him up and then being physically unable to set foot in the ring, so we head outside instead. The time mark for jig stopping is always an interesting thing. It's funny how different horses treat the time limit. I am become jealous of your mudroads! They look much better packed than my mudroads! Honestly, until now I haven't done enough intensive trail riding at home to notice it! 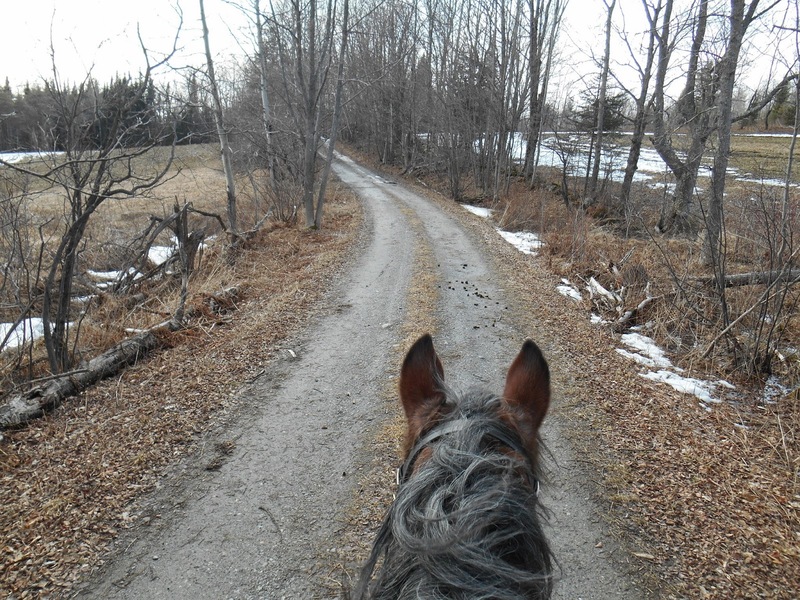 He's much better when we're off property because he doesn't have that barn as a homing beacon in his head. It's been years and years since I could feasibly get up to 45 minutes on home trails. It does seem pretty consistent, though. The trick is getting him fit enough that 45 minutes is the early warmup rather than 2/3 of the way through. Some of them are! Some of them are emphatically NOT. What you're seeing are actual true roads, not field-roads (which are a morass), and we did turn back from some of the higher elevation roads that still had decent snowpack and tricky footing. Spring does have to come eventually, hang in there!